The most powerful armed forces of the world, in 15 years, will be those of Russia, USA, China, India and France, a forecast by the American military-political publication ‘The National Interest’ predicted. The authors took three main factors into account: the military’s access to national resources, including latest technology and innovation; support from the country’s leadership, allowing the military to maintain its independence; and the ability to test new weapons and tactics in combat. The Russian army went through a difficult period of transformation and restoration of access to national resources in the period after the Cold War. Along with economic recovery, there was a powerful stream of investments in the armed forces, while reform of the elite divisions allowed Russia to conduct two successful military operations in Chechnya and South Ossetia. The land forces may face the problem of access to technology in the future, as the military-industrial complex of the country is still recovering from the collapse of the USSR, writes the NI columnist Robert Farley. However, the Russian army will retain its main advantages for a long time - the size and the psychological force of its personnel. The high level of the American army’s preparedness will be provided till 2030 by a developed system of innovation in the defence military complex, available for all the units of the US Army: Navy, Air Force, Army and Marine Corps. In addition, the US military personnel "have kept up their fitness" for the past 15 years fighting the war against terrorism in Iraq and Afghanistan. This is the greatest period of warfare since the days of the wars against the Indians. However, the constant tension poses a variety of threats like a complete depletion of units as a result of the incessant wars. The main advantage of the Chinese People’s Liberation Army (CPLA) continues to be its size, and the most significant drawback is the lack of experience of practical application. The last time the Chinese military took part in fighting was in 1979, during the war with Vietnam. Like the US Army, the PLA has full access to national resources and technologies. While the dynamic development of the Chinese economy has given the military an opportunity to build modern weapons, these remain inaccessible to the neighbours in the Asia-Pacific region. 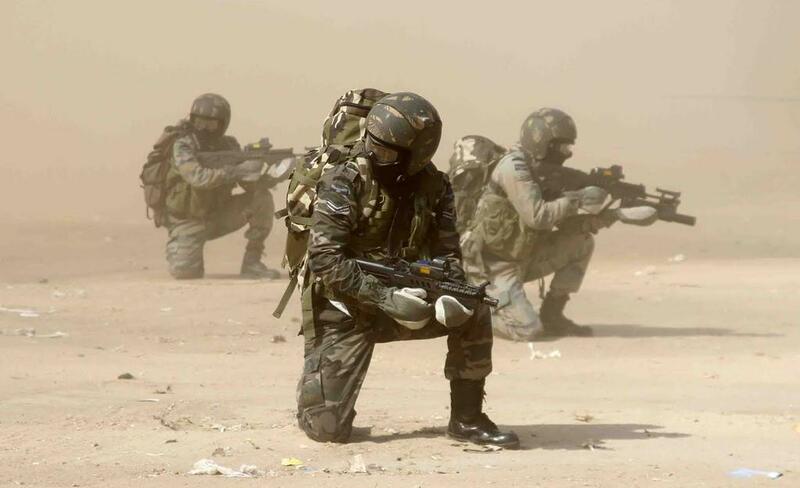 Unlike China, the Indian Army has an abundance of combat experience; it constantly carries out operations against the Maoist rebels inside the country and opposes the separatists in Kashmir, who enjoy Pakistan’s active support. The disadvantage of the Indian Army is its technological backwardness. The gap New Delhi developed in the past is being offset by purchasing the newest weapons systems in Russia, the USA and Israel, but the Indian Army will, in the future, need its own innovations and weaponry. The French army will, in the near future, be a major military power in Europe. It will gain control of the military apparatus of the Old World (Europe), and will largely determine its security policy, said the ‘National Interest’ columnist. The main asset of the French military is the full support it receives from the government, which keeps making large amounts of investment in the defence sector.